Kevin Jordan, owner of Redpoint Marketing Consultants and a member of the Duct Tape Marketing Consultant Network, is being featured as a guest on the Business Book Talk podcast hosted by Bob Garlick. Kevin Jordan, a small business marketing consultant from central Virginia, is being featured as a guest on a top business book review podcast to discuss his best-selling book The Small Business Owner’s Guide to Local Lead Generation. The podcast, entitled Business Book Talk and hosted by Bob Garlick, is currently in its sixth season and is one of the most popular business book review podcasts on iTunes. Kevin’s book, which he co-authored with four other members of the Duct Tape Marketing Consultant Network, teaches local business owners about a variety of lead generation tactics such as direct mail, online advertising, networking, referral marketing, search engine optimization, and email marketing. What distinguishes it from other books about local business marketing is the emphasis it places on the need to create a solid marketing strategy before attempting any lead generation campaign. Thanks in part to its unique take on the subject, the book has won praise from numerous leaders in the small business marketing industry, including Dr. Ivan Miser (founder of BNI), Michael Port (best-selling author of Book Yourself Solid), and Brian Clark (CEO of Copyblogger Media). After its release in June of 2015, the book reached number four on Amazon’s best-seller list in the small business marketing category and was given four out of five stars in a review by the website Small Business Trends. It was in part because of those endorsements that Bob Garlick decided to feature it on his Business Book Talk podcast. 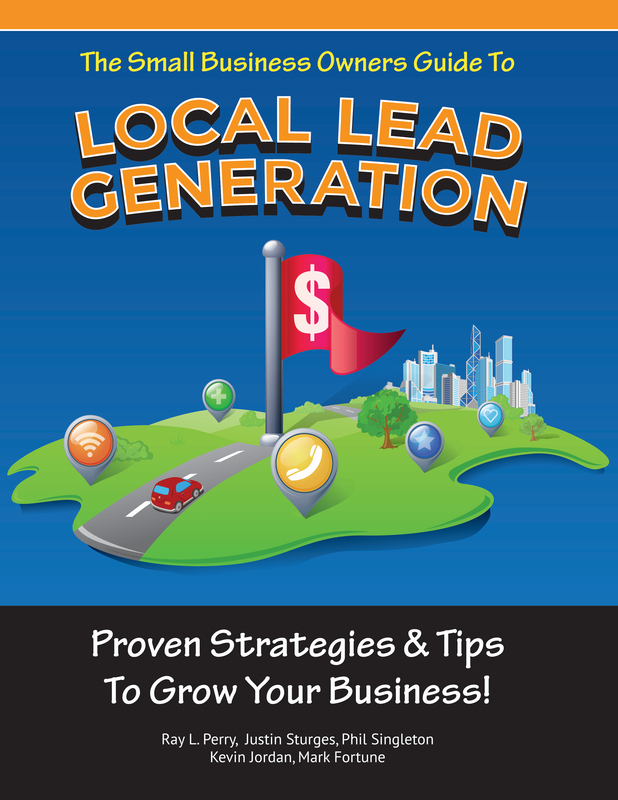 In honor of his appearance on the podcast, Kevin is offering the Kindle version of Local Lead Generation for free for a limited time starting on February 8th. A paperback version is also available for order from Amazon. Local business owners interested in learning more about the book can visit the official website at http://www.localleadgenbook.com. Kevin Jordan is the owner and principle consultant at Redpoint Marketing Consultants, a small business marketing agency based in central Virginia. Kevin’s agency helps local business owners throughout North America implement simple, affordable, and practical marketing strategies like those described in The Small Business Owner’s Guide to Local Lead Generation. In addition to writing a best-selling book in 2015, Kevin was also named one of the top 100 business bloggers of the year by the website BizHumm.com. Like over a hundred consultants around the world, Kevin has earned the title of Certified Duct Tape Marketing Consultant by completing a rigorous training program and participating in continuing education events on a regular basis. The Business Book Talk podcast features business books about a variety of topics. In each episode, host Bob Garlick interviews the featured book’s author in order to let business people get an idea of what each book is about and whether a book is a good fit for them. To date, over 265 authors have been interviewed on the podcast, which is currently in its sixth season.